Solar chargers are swiftly becoming a mainstream to generate green energy. Green energy is much more reliable, money-saving, environment-friendly and dirt-free compared to other types of power. A solar charger is a small machine capturing the sun’s energy by using solar panels. It converts solar energy into electrical power which was carefully stored in a battery. Purchasing a solar charger is a smart choice. However, picking up the best solar charger for backpacking seems to be a daunting mission. As there are numerous kinds, features, and styles on the current market. And there is an unending list of gadgets which all look the same. 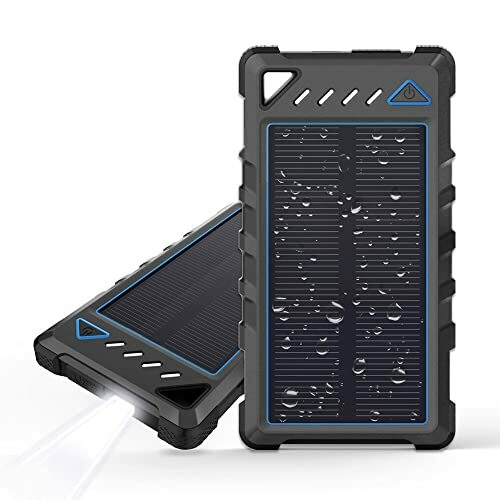 In order to help you choose a suitable solar generator, below are the top 10 best solar chargers that I highly recommend you to buy. 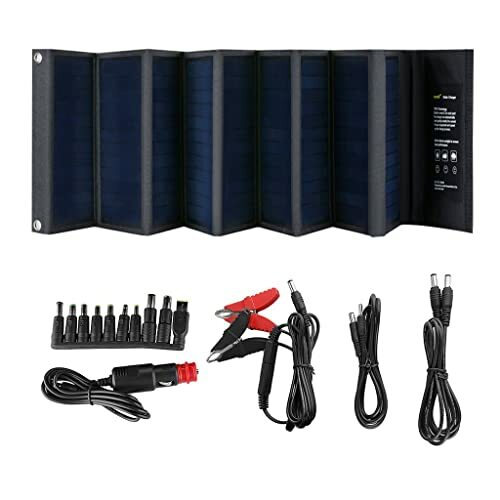 *** Below are top 10 Best Solar Chargers that I highly recommend you to buy. Please read carefully each product’s review to know which model suits you best. For those spending time and effort on searching for solar chargers, Anker brand is no longer a strange solar charger manufacturer. Anker makes its name in the current competitive charger market due to it's innovative, multi-functioned and high-performed devices. And this Anker Power Port Solar 2 Ports 21W Dual USB Solar Charger is a typical example. Anker’s PowerPort Solar is basically an intelligent and small-sized portable charging system harmonizing with numerous powerful electronic devices such as tablets or iPhones. In general, it performs well with fast charging. However, its durability is just at the average level compared to its competitors in the market. In more specific, in terms of power output, it offers high wattage outputs. According to our trial test, it could generate an average of 4.02 volts and charge 1% every 1.37 minutes. On top of that, with a 150-square-inch solar cells, it falls in the middle-sized devices list. Its power is equally and well-delivered in each inch of the cell. 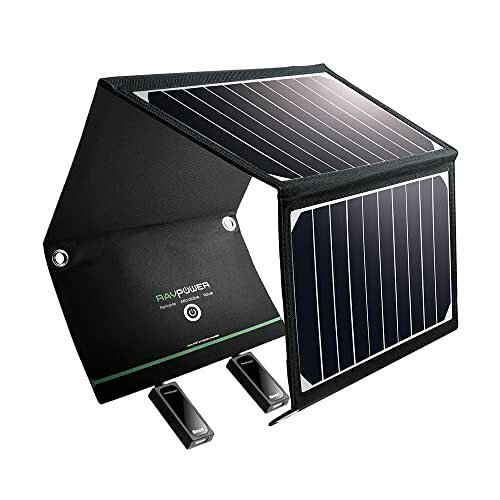 Generally, the PowerPort Solar Charger is highly rated in terms of power performance. 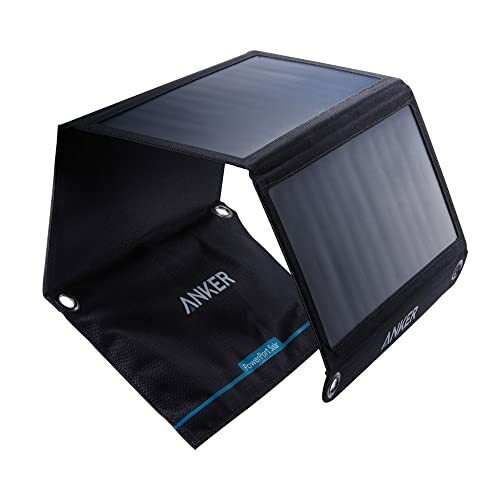 Like other charger providers, the Anker Charger is a no-frills solar charger delivering a micro USB charging cable, an integrated Velcro pouch and two 2.4A USB charging ports. Moving on to an important feature that everyone would search for, it is durability. The Anker is made from long-lasting polymer substrate and connected together with a robust synthetic canvas. Frankly speaking, the canvas case is pretty durable. The panel could suffer the 30-pound strike and a significant amount of torsion without any serious impairment. In short, although the PowerPort possesses excellent durability, it is still only average compared to other redoubtable opponents. 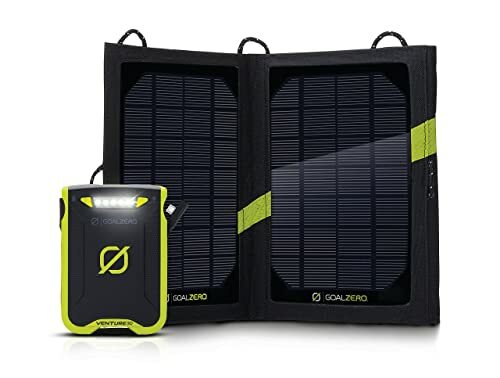 In case you have a deep pocket, and you are willing to spend a considerable amount of money on a high-quality, durable and versatile solar panel, Goal Zero Venture 30 Solar Recharging Kit is what you look for. There is no sharp-tongued when saying that The Goal Zero Venture is one of the most robust, weatherproof and durable solar chargers without rubber plugs required on the market. It contains the adequate power that you need to keep your gadgets fully-charged no matter how out-battling your devices are. Thanks to the 7800mAh and IPXG weatherproof rating, the Goal Zero Venture Solar Charger can keep everything running effortlessly and smoothly. In detail, it possesses a must-have function that all solar panels wish to have, it is waterproof. Thanks to this wonderful feature, pouring rains or heavy storms are no longer a big deal. This waterproof solar panel can withstand whatever Mother Nature casts at you. What is more, you can charge two appliances at one. With the high-speed USB 4.8A, dual ports and the integrated flood charge, this model offers fast charging. According to the Goal Zero manufacturer, this product could charge up in 9 hours from the Nomad 7 (in full sun condition) and in 4 hours from USB. In terms of versatility, The Goal Zero Venture would absolutely blow away its competitors. 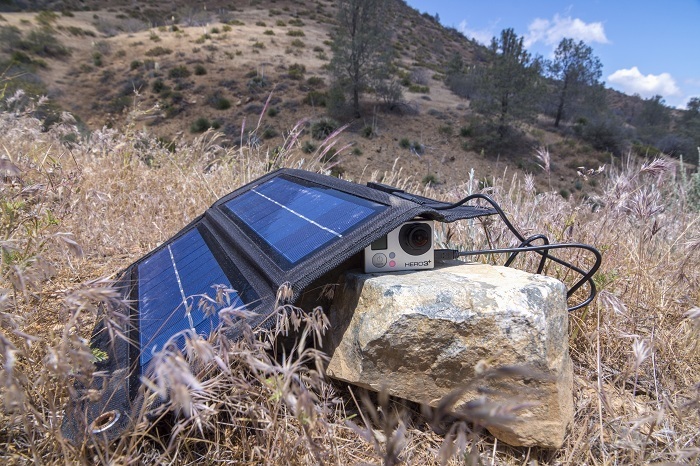 This gadget included a couple of ways to connect an appliance: the USB, the modern standard, a 10-port Goal Zero Guide, a 12-volt Goal Zero Sherpa and a daisy chain port which links all solar panels together and increase your solar output dramatically. When making use of this smart item, you will have a bunch of charging and connection options. Although it doesn’t possess a wallet size as several solar chargers on the market, it is still portable. In addition, it is easy to setup. In short, The Goal Zero Venture 30 is much more than a normal battery; it is the best backpacking mate of all backpackers. For those who seek for a moderately efficient and lightweight solar panel with an inexpensive price, so just pick up this RAVPower Solar Charger 16W Solar Panel. I guarantee that this product will definitely satisfy all your demands and requirements. In general, RAVPower performs well when it comes to charging speed. It only takes 3 hours to charge a gadget from a completely dead battery to almost 40%. The design of this version is the same as other fold-out panels on the market. Another lovely feature that I highly appreciate is that its eyelets are reinforced which make the panel fairly easy to hang up. On the subject of weight and portability, I’m pretty satisfied with these features. This model only weighs 7 ounces which makes it easy to carry. The RAVPower comes with three-panel designs so you could freely pick up which suits you best. However, everything has its pros and cons, and this RAVPower isn’t an exception. I found that this modem isn’t good at delivering a constant charge to the battery packs after several interruptions. To be honest, it doesn’t operate well in cloudy and wet conditions. Additionally, it is easy to disconnect when shaded. While I was charging my iPhone and there has been an interruption occurred, it took a while to reconnect to my phone. In some cases, you have to manually reconnect the phone to the solar panel, which is a really considerable issue. It is undeniable that X-Dragon is a well-known brand for supplying highly efficient solar panels. In case you are going to buy an X-Dragon Solar Panel, I highly recommend the X-Dragon 14W SunPower Solar Panel, one of the most outstanding and well-designed modems of this prestigious brand. 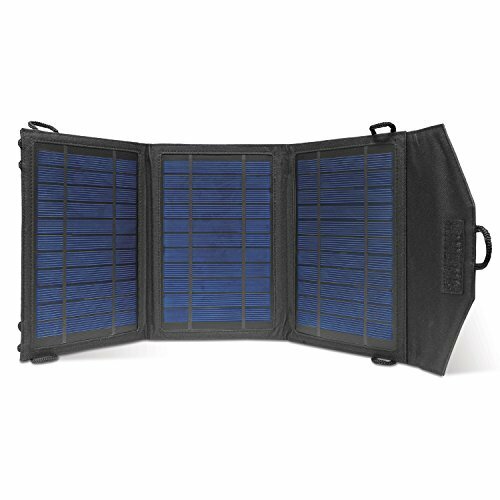 Overall, the X-Dragon 14W SunPower Solar charger is a pretty compact, sturdy and portable solar panel charger. What I like most about this model is its lightweight feature. It only weighs 1.15 pounds and shuts up slim so it could fit into all types of backpacks. Hence, it is a must-have item when camping or trekking. When your technological devices are in need of being fed, all you need is unfolding the panels under full sun. Plus, you can also play the panel on your back and charge your electronics or battery bank on the trail. Especially, this charger is smartly and exclusively designed for high performance. Compared to other solar chargers on the market, it is able to capture more sunlight and needs less charging time. What is more, this product comes with 2 USB ports. It means that you could simultaneously charge 2 devices. Interestingly, it is capable of adjusting the voltage in order to optimize charging productivity. Furthermore, it is pretty durable and could be fully functioned for many years. For those are searching for a waterproof solar panel with high conversion efficiency, let’s take a glance at the SUAOKI 60W Portable Sunpower Mono-crystalline Solar Panel. The SUAOKI solar panel charger possesses dual-port output which delivers adequate power to keep two devices fully charged at the same time. What is more, it is both ultra-portable and versatile. It allows you to not only charge your sunlight-powered appliances but also charge your car through the DC port and the storage battery via the clamp. Its smart design is also a selling point of this product. There are tons of buyers who were totally impressed with its shape and size. It is purposely designed at the same size with an A4 piece of paper. Consequently, it is easy to carry right on the backpack. Additionally, most users are greatly surprised by how compact this modem is when folded up. On top of that, this product applies SUAOKI TIR-C Technology with built-in intelligent IC for the USB ports so the charger could instantly and automatically identify your equipment and fasten up the charging process. In terms of conversion efficiency, Suaoki has never failed in winning backpackers’ hearts. With a 25% increase in the conversion efficiency, this model performs better than any model else on the current market. Last but not least, thanks to the waterproof layer, you could put your mind at rest when charging your technical tools near the beach or swimming pool or even camping in the rain. I have been a big fan of Nekteck for such a long time as it is a high-end charger provider on the market. When purchasing Nekteck products, I could absolutely let my mind at rest. 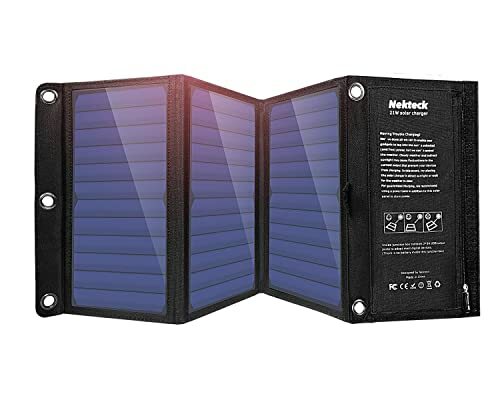 And this Nekteck 21W Solar Charger is the clearest example. The Nektech 21W Solar Charger with 2-port USB is a high-performed pick which fits everyone’s pocket. Especially, it is highly suitable for outdoor usage. Applying the latest technology, called smart IC technology, Nekteck makes use of a microchip in order to detect the gadgets plugged into USB ports to attain the highest charging speed. I am really into this model’s compact and outstanding design. It doesn’t come with a battery. Hence, it is lightweight (only 18 ounces) and portable. Moreover, it contains 2 fold-out panels with a 21W-combined output. One more strong point of this excellent product is its powerful performance. It is equipped with a high-quality panels to achieve a high power conversion rate up to 24%) and let you charge 2 devices over the dual USB ports at the same time. What a convenient product! Finally, yet importantly, this exceptional solar charger goes with an 12-month warranty which makes it more perfect for your upcoming backpacking trip. Seeking for the best solar charger for backpacking, the answer is right in front of you: the ECEEN 10W Waterproof Travel Solar Chargers. It is a compact and lightweight option for hiking, camping or other outdoor activities. 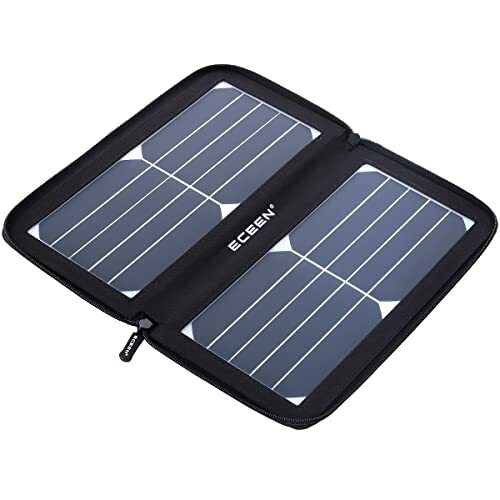 The ECEEN 10W solar charger is made by SunPower solar cells which help convert up to 22%. You could charge your smartphone in approximately 6 hours of dazzling sunshine. It uses natural sunshine to charge your appliance. For those who are environment-minded people will definitely fall in love with this product as the ECEEN is an environment-friendly charger without battery. Moreover, due to no battery needed, it is light to pack and carry. Like other high-end solar charger, the ECEEN also applies built-in Smart IC technology. It helps to automatically adapt to connected gadgets and provide the optimum charge current and minimize charging time. It discovers the connected device input and allocates current output according to the sunlight level. With a small size (11.5 x 6.0 when folded/ 12.8 x 12.0 when opened) and ultra-thin and lightweight design, the ECEEN is better suited for picnics, trekking, and camping. In order to protect the solar charger’s exterior part from damp conditions and scratch, it comes with a zip pack design. This model could easily open and close like a book. 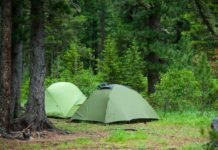 It is effortless to zipper up and could be attached to tents or backpacks with four included carabiners and ribbon hooks. Also, the ECEEN is also engineered with a voltage regulator for the purpose of guaranteeing a stable current and voltage. It protects your appliances while charging quickly. However, the real output of this machine is a bit lower than its specifications, averaging roughly 1.2A and below 4.5V. This also means that you may charge only 1 gadget at a time. Finally, yet importantly, it provides a 12-month warranty. So in the warrantied period, if your ECEEN gets into trouble, you could bring it to the ECEEN manufacturer and get you repaired one or even a new solar charger. In short, with a great price and smart design, the ECEEN charger is still a good deal to pick up. The Instapark 10W is a suitable solar charger for all outdoor activities such as backpacking, camping, trekking, thru-hiking, and mountaineering. So it is a potential candidate for sports lovers who are looking for a great solar charger. This 10W solar charger is perfectly designed with a foldable design which helps to deliver superb portability. It comes with built-in dual USB ports so you could directly plug in your compatible mobile appliances such as USB, Ipad, Iphone. One more feature that I pretty sure that environment lovers will definitely like, it is no additional battery required for charging external gadgets. With zero carbon footprint, it is 100% green energy. Notably, the Instapark provides a 1-year warranty which makes it reliable and trust-worthy to purchase. For those who want to charge their devices with green energy, let give BEARTWO 10000mAh solar charger a choice. The BEARTWO solar charger possesses a compact and portable design. It is considered as one of the lightest and smallest solar chargers on the current market. 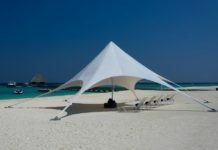 It is also provided an extra hanger which makes it ideal for numerous outdoor activities. Thanks to the dual-USB output, the BEARTWO 10000mAh charger allows us to charge appliances simultaneously with the maximum output (up to 2.1A/5V). It only takes 4 hours to charge the battery fully. Hence, it saves your charging time. On the purpose of protecting the BEARTWO against water, every micro USB port is concealed by a rubber cap. Plus, its rugged surface is in charge of keeping slip away. Furthermore, its reinforced corner makes it sturdy and tough. What is more, it is provided with a mini LED flashlight with 3 modes available (Strobe / SOS / Normal). And SOS mode is purposely designed for emergency use. With the built-in smart security protection, it could automatically avoid overvoltage, short circuit, overload or overcurrent. It is compatible with a bunch of technological devices. For instance, Android phones, Samsung, iPhone, GoPro Camera, window phones, USB charging devices, tablets, and GPS. Last but not least, it is super safety for use as it is made of eco-friendly materials (silicone rubber and PC + ABS material). It is reliable due to its FCC, RoHS, CE certification. Please be noted that it will a bit slow when recharging the battery through solar power because of its limited solar panel. Hence, don’t take solar energy as your key power source. With impressive charging capacity, good-sized battery pack and extremely weatherproof feature, OUTXE 24000mAh is always the first choice of backpackers. In ideal condition (fully-charged), this solar charger could recharge a Samsung Galaxy up to 4 times and an iPhone up to 6 times on a single charge. This model is also accompanied with an SOS strobe light/ included torch in case of emergency. 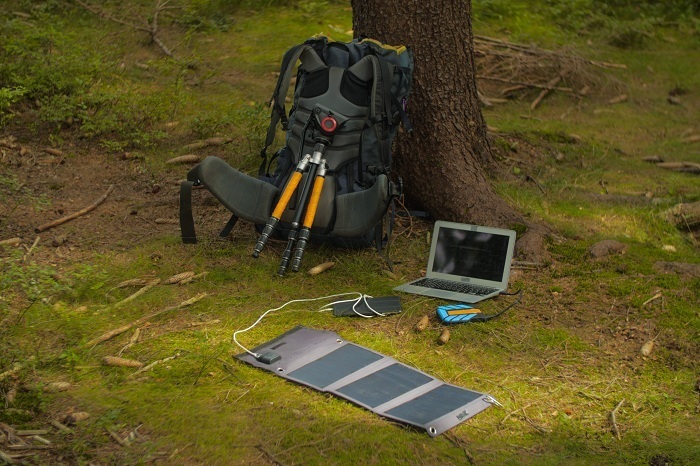 The OUTXE solar charger offers dual input options. And AC cable is its main input option. All you need to do is plugging it into an outlet; then the battery will be filled up in a few hours. In case you aren’t able to access the outlet, there are several solar panels which are integrated into the charger. Just install the charger in sunlight, then the battery will begin recharging. Nevertheless, it takes up to 100 hours to completely fill up the battery when just using the solar panels. 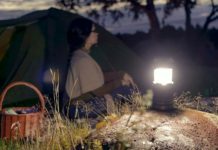 In case you are camping through the night, OUTXE provides you an emergency LED flashlight. It has 3 light modes in total: Strobe, SOS and normal. If you are in danger and want to call for help, the SOS mode is beneficial. In addition, the OUTXE delivers great protection, from overcharging, short-circuiting to overheating. It is also equipped with multi-device speed charging. The OUTXE solar generator could discover when you possess connected multiple appliances. It senses each device’s input capacity, then delivers as safety and much as possible to fasten up the charging time. Apart from Apple or Android phones and tablet, the OUTXE also allows you to charge your camera, a small Bluetooth speaker or your Kindle. Notably, the OUTXE charger is waterproof and dust-block. Hence, it is appropriate for all types of outdoor activities. Every garden has its weed, and this OUTXE isn’t an exception. If you think you could completely rely on this model’s solar panels to keep your gadgets fully charged, then you will absolutely be disappointed. It is advisable when fully charging this battery at home and bring it to a short-duration outdoor adventure. In short, it isn’t the best solar charger. However, it is a great solar charger for short-time outdoors or camping. Opting for a high-quality and suitable backpacking solar charger seems to be a challenging task for those who have limited understanding about this specific type of product. Consequently, today I jot down several factors that you should take into consideration carefully before making a purchase. Hope you found it helpful. Now, let’s jump in. Currently, there are 3 types of solar panels: monocrystalline, polycrystalline, and thin-film panels. - Monocrystalline panels: They possess the best quality, so their prices aren’t as wallet-friendly as the rest. In detail, operating well in high-temperature situations and earning a 20-percent efficiency rate are the two most impressive advantages of this type of panel. - Polycrystalline panels: Actually, polycrystalline panels only perform slightly less competently than monocrystalline panels in high-temperature circumstances. While monocrystalline panels are made from crystal, poly ones are made from many. Due to their fairly good performance and budget-friendly price, polycrystalline panels are always the top of the choice of all backpackers. - Thin-film panels: Compared to their crystalline counterparts, thin film panels seem to be less convenient and less efficient. They only yield a low efficient rate (approximately from 7 to 13 percent). Also, they need a larger area of coverage. However, they are the cheapest pick. Just think carefully and pick up the panel fit you most. This is an indicator showing the maximum quantity of watts you could draw from the charger at any time. You should consider how much watts to fit your desire; you may need a charger with a large inverter rating. Please be noted that inverter size doesn’t decide the solar charger's capabilities. For instance, a 1500W inverter won’t be perfect if it uses a 450Wh battery. At least a 1.5:1 ratio (watt-hours/inverter rating) is considered to be the best ratio of good-quality solar generators. To conclude, if all you need is charging small devices such as smartphones, tablets or handy small-sized fan, a 200Wh charger is appropriate for you. It is one of the most pivotal factors which decide mainly on whether to buy a certain solar charger or not. The charging capacity differs according to the battery’s type and size. The distinct device performs differently. And the internal system is the key point which determines the relationship between the battery and the panel. There are a series of solar chargers allowing you to charge your technological appliances while the solar charger’s battery is charging. It is the truth that price is always the first thought popping up on your mind when it comes to making a purchase. A couple of years ago, the prices of solar chargers were a bit high, so people rarely bought one. 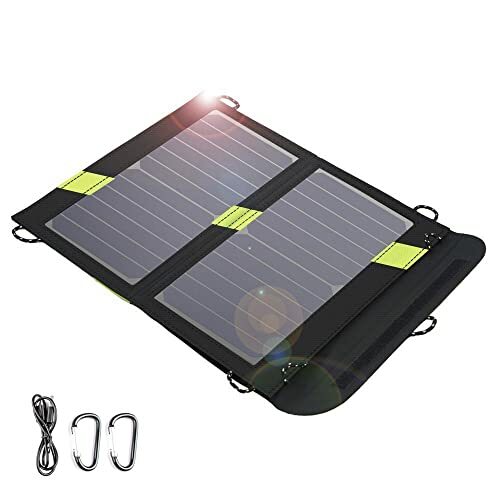 But now, due to the fast-paced development of technology and the severe competition between solar charger providers, the prices of solar chargers have decreased considerably. Currently, there is a series of money-saving options available for you to pick up. Plus, eco-friendly solar chargers are becoming a hot trend in the current market now. In case you have a sufficient budget on purchasing a high-end solar charger, just pick up the environment-friendly solar chargers as they are always the best. It is a highly crucial factor when it comes to opting for a charger. If the charger isn’t compatible with your gadgets, then it is injudicious when buying them. As a result, please kindly check whether your devices’ model, voltage, size, and power are compatible with the solar charger’s specifications or not. The warranty duration somehow could represent the durability and reliability of a certain product. Hence, the longer the warranty duration is, the greater your charger is. Don’t forget to ask the salesman clearly about the warranty duration and guarantee program as you could need it someday. - Avoid purchasing chargers which have the battery and solar panels set up in the same unit. As it will diminish your battery’s lifespan due to heat. Naturally, batteries hate heat. - For the sake of easy replacement, you are better off buying individual parts. Hence, when a certain part is spoiled, you could easily repair or replace it as easy as pie. - Be careful of the snake-oil pitch as various companies are making use of this stuff and convincing their customers that their solar chargers are the best. Stay away from throwing your big money into poor-quality solar generators. - In general, solar chargers with built-in panels are likely to be engineered in a way which can’t be repaired. Hence, stay away from built-in solar panels. 1. How long does it take to fully charge with solar panels? In fact, it depends on the types of the battery. For a 1500mAh battery charge, in an ideal condition, it could take up to 4 hours to fully charge. For degraded batteries, it may take much longer to completely charge (6 hours probably). 2. What is the lifespan of the solar panel? It is the most frequently asked question I have received, and most buyers care about. Although all solar panel providers go out of their way and put a lot of time and effort into making the solar panels vigorous. However, nothing could stand the severe test of the time. And solar panel either. Actually, the lifespan of the solar panel vastly depends on what type it is. In general, standard and Trina solar are two types of solar panels having the longest lifespan. The maximum lifespan of a standard solar panel is approximately 25 year. In order to extend your solar panels' age, you should keep it in safe places, prevent it against physical damage such as rain, wind. The more bad weather the panel is exposed to, the quicker they will degrade. Plus, regular cleaning and maintenance are also crucial. 3. Are all solar chargers for backpacking weather/waterproof? Sadly no. Not all solar chargers feature weatherproof or waterproof. Hence, when making a purchase, don’t forget to ask the salesman about the waterproof and weatherproof features. 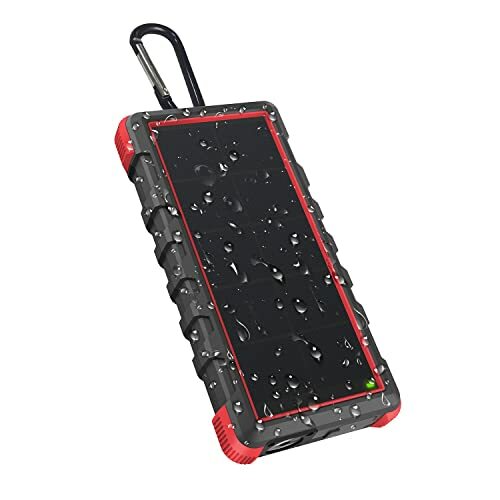 If it’s possible, I highly recommend you to buy a weather/waterproof solar charger as it tends to be more sturdy, durable and robust. 4. Can you start charging devices before the solar panel is fully charged? Yes, you can. However, if you are keeping charging devices before the solar panel is fully charged, your solar panel could be gradually worn-out. And I bet you don’t like this matter happen, so remember to charge other gadgets only when your panel is 100% charged. In conclusion, picking up a suitable solar charger is as difficult as buying a gorgeous dress for your girlfriend. As it takes a lot of time to truly understand its product features and consider whether it suits us or not. In my point of view, I would love to pick up the Goal Zero Venture 30 Nomad 7 Solar Panel as it is high-performed, fully functioned and flawless. 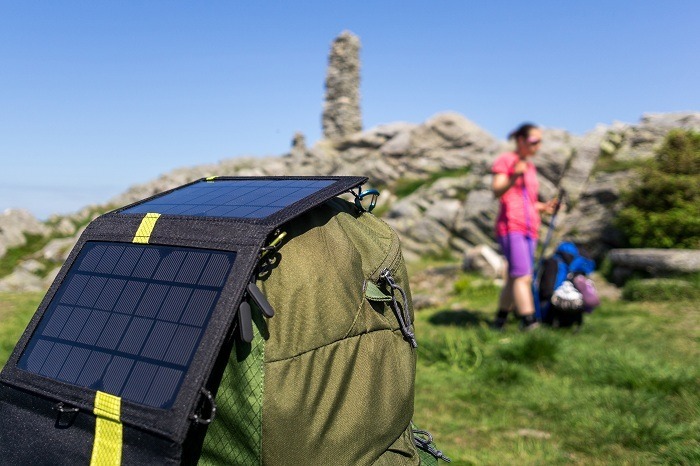 Hopefully, after reading this article, you could grasp sufficient information about those solar chargers on the market, tips on picking up the best solar charger for backpacking and opt for the best-suited one for you. Please like and share this article if you found it informative and helpful. As it is such a big motivation for me to keep up my good work. In case there is something unclear, don’t hesitate to comment down below as I will try to answer as fast as possible. Lastly, keep following my blogs as I will come back with lots of interesting and fun content. Love you to the moon and back. Previous articleHow To Identify A Water Moccasin In 5 Simple Steps – Know It Here!